At the end of 2006, ASF grew to a point that running costs were becoming a concern. The future of the forum looked in serious jeopardy. We had no sponsorship from any companies, no advertising funds and no financial input from anybody other than the creator of the site. We gave all we could for free and helped each other out but this was not going to keep us going. Long term supporters and friends of the ASF website concluded that a membership /subscription fee be offered to visitors of the forum to give them chance to support the website that gave them both entertainment, knowledge and access to parts and resources they might never have found otherwise. If you are not already a full paid member and would like to be one to access the sealed areas of this forum then this is for basic access. 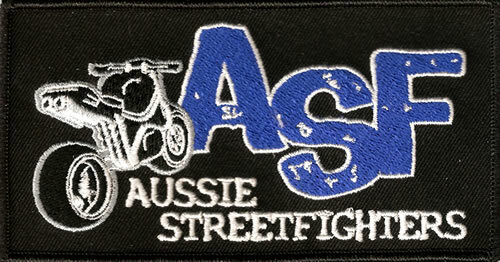 User title is "ASF Basic Full Member"
The standard membership gets acess to all hidden areas plus the full member trading area where some pretty serious deals are made on parts and motorcycles! 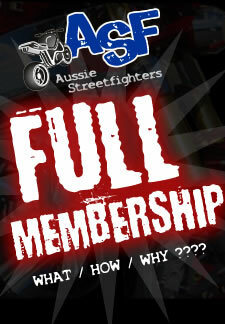 User title is "ASF Standard Full Member"
This is the membership for full dedicated ASF members. 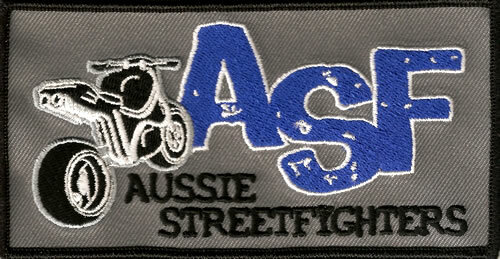 This membership entitles you to everything above plus a grey ASF jacket arm patch (not a club or outlaw style patch, just subtle for recognition). These members also get access to extended areas of the members area unseen by standard members, plus they get first dibs on offers and deals, plus competitions. As for forum perks: you get a larger avatar area, signature area, larger photo upload facility and gallery. User title is "ASF Premium Full Member"
This is the top level ASF membership. This membership entitles you to everything above plus a black ASF jacket arm patch (not a club or outlaw style patch, just subtle for recognition). These members also get chance to publish their own blogs, fully edit their posts, have larger avatars and signatures and generally get everything availabe with this forum. User title is "Gold Member"
If you want INSTANT ACCESS to the members area and become a full member now, you will need to use Paypal (which has a $2 surcharge). CLICK HERE to join instantly. Contact GIX11 by clicking the following link REQUEST BANK TRANSFER DETAILS or clicking on the contact us link at the bottom of the page.